With the help of China domestic fulfillment service, e-commerce business owners can source products from China and sell them to Chinese consumers. 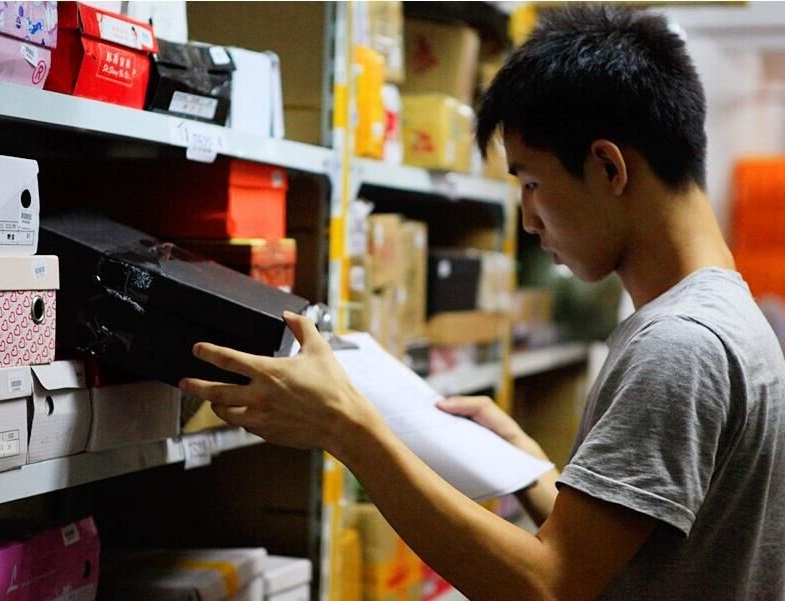 (fulfillment services) Unlike the drop-ship suppliers, ChinaDivision provides goods inspection, warehousing and inventory management services, which ensures that the recurring problems such as high error rate, unprofessional packing, incorrect inventory, inappropriate custom clearance when using drop-ship will not happen. Another problem the e-commerce seller may come cross is, they may find it difficult to get customer oriented value-added services from Chinese suppliers, since the point of drop-shipping is “no inventory, ship directly to the buyers”, which is starter friendly, not branding friendly. The value-added services included in the domestic fulfillment ensures that the customers can run a variety of branding campaigns, they can customize packages, put multiple products in one box, send promotional items, mark the brand name on the shipping labels, etc. (fulfillment services) All of them will help the e-commerce business owners to establish a brand, because instead of receiving an item with no logo (or worse, the manufacturer’s logo), the consumers will be impressed by the well-designed packages and thoughtful promotional items. One of the reasons why e-commerce in China can be so developed is that China domestic shipping is very high speed. Chinese consumers have been accustomed to receiving packages in three days after online purchase, even the buyers in remote areas can expect to receive packages within a week. Fast domestic shipping, experienced manual operation and effective inventory management make the China domestic fulfillment service very time-saving. (fulfillment services) If the customer already stock the products in ChinaDivision warehouse, once a buyer place an order in his/her store, the products can be processed in 24 hours and only take 1-3 more days to deliver. For the online store owners who sell clothes or accessories, it is a headache to update inventory every time buyers request to change the color or the size. Being an one-stop order fulfillment service, China domestic fulfillment service includes helping customers to deal with exchange & refund requirements and update the inventory in the real time. This makes it possible for online store owners to improve the store’s shopping experience with less hassles. More than that, ChinaDivision also helps the sellers to return or change goods to suppliers. Once some damages or quantity errors are found during goods inspection, ChinaDivision will inform the customer and help to contact the supplier to arrange the replacement of goods. Giving away free gifts is a proven marketing strategy which is usually called gift marketing. Gift marketing is particularly suitable for re-marketing, because sending promotional items to old customers in holidays, anniversaries, their birthdays, etc, not only gives them favorable impressions of your brand, but also reminds them to pay attention to your products again. Carrying out gift marketing normally means sending a lot of packages in a short time, so it’s better to outsource it. 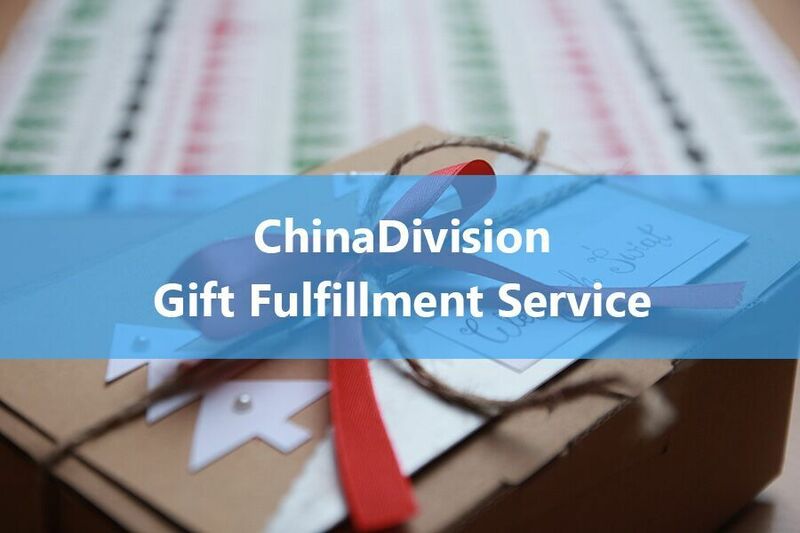 ChinaDivision gift fulfillment service can take the hassles away and makes it possible for you to only focus on how to get more orders. Thoughtful &Cost-effective gift sourcing. Nobody wants lousy T-shirts or mugs with big logos on them, only the thoughtful and meaningful gifts can get a better promotional result. At the same time, the promotional items can’t be too expensive, since you are sending a lot of gifts for free. ChinaDivision can spare you the hassle of selecting suitable gifts from tons of listings online, relaying on the large amount of manufacturers in China, and the B2B marketplace Alibaba, ChinaDivision gift sourcing service can be cost-effective and thoughtful at the same time. Flexible shipping methods. Unlike the other fulfillment service, gift fulfillment service has to provide cost-effective and flexible shipping solutions in particular, since it directly relates to the promotion budget and effect( in some cases, whether the customers can receive the gifts in the ideal time). ChinaDivision has been partnering with world-leading express carriers like UPS, DHL, EMS, etc, which makes it possible for us to get a negotiated shipping price and real-time updated shipping status. With multiple years of experiences in B2C business, ChinaDivision can fulfill your promotional items in the most effective way. Customizable packing. As was mentioned above, sending promotional items can increase the identity of your brand. But how to achieve it? One of the effective ways is using customizable packages. Instead of just printing your logos on the box, there are more you can do. Have your packages well-designed, ChinaDivision will make them real. Like people wrapping the gifts before gift giving, thoughtful packaging makes the receivers feel your caring heart. Not only that, ChinaDivison also provides kitting service. It means you can put different products and inserts in the package, such as thank you cards, gift cards, coupons, etc. Scheduled shipping. Another hassle in gift marketing is you have to keep the dates in mind: anniversaries, birthdays, holidays, etc, and you have to send the gifts ahead of time to make sure you customers receive them in the right time. Scheduled shipping is one of the core services in ChinaDivison gift fulfillment solutions, give us your customer and holiday list, we will take care of the rest. Drop ship is a supply chain management method which the retailers don’t need to keep the goods in stock, because the drop-shipper(normally the manufacture or the wholesaler) will send the goods to the buyers directly. Drop shipping saves warehousing fees and reduces the hassle of picking and packing. But there are still a lot of disadvantages, that’s why a lot of online store owners turn to third-party fulfillment service providers. 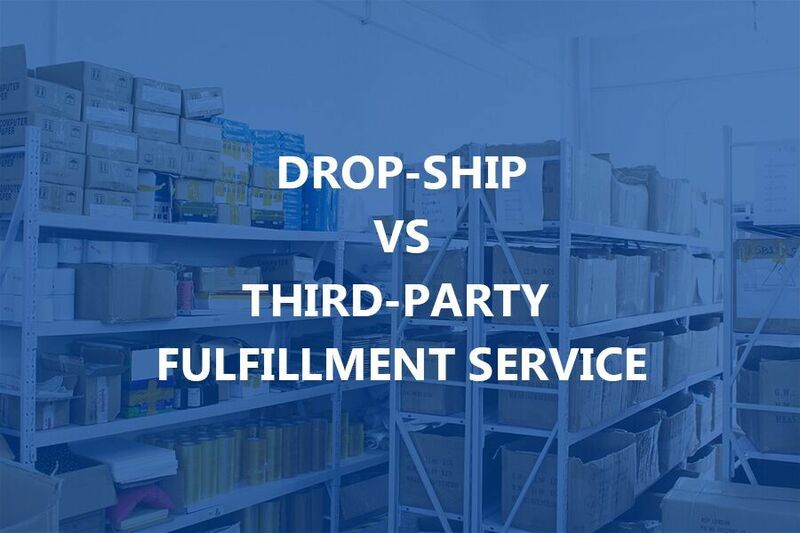 What’s the differences between third-party fulfillment service and drop shipping? Third-party fulfillment providers do more. They do kitting/assembly, value-added services, and give you more shipping method to choose. One of the advantages of drop ship is you don’t need to handle the packages, which reduces a lot of hassle. But this also makes the packing customization impossible. Third-party fulfillment providers can do a lot of work for the store owners before the packages are shipped, such as kitting, assembly, adding marketing inserts, because they receive products from multiple suppliers and process them together. About carrier selection. 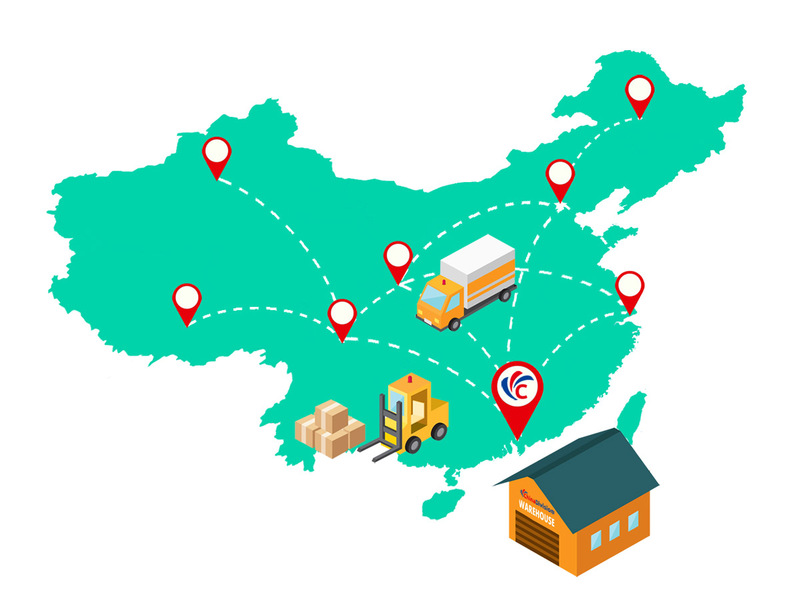 The drop shippers send the products directly to the buyers, but most of them only cooperate with a few express carriers, and normally will not bother to find cheaper or faster shipping method for the store owners. This may not be a problem at ordinary days, but during holiday season, such as from November to January, when most of the store owners received tons of orders, that’s the time when problems emerged. Consumers will not be happy if they receive their Christmas gift in January. Third-party fulfillment providers can make more flexible shipping solutions for the store owners, because global shipping is what they do , they have more experiences than the suppliers. Inventory management has been a headache for the store owners who drop ship products from multiple suppliers, and it will be even harder when the owner gets a lot orders in a short time. The solution is to let all of the suppliers send the products to one place and deal with them centrally. Once you let third-party fulfillment providers handle your inventory, every shipped-in and shipped-out will be recorded, there is no need to contact different suppliers just to update the inventory. Another meaning of the word controllable is that the store owner can monitor the shipping status in real time. Professional inventory management software will return a tracking number for each shipped package, you can deal with the problem on time if something went wrong. The consumer can get different products in one package if the store owner uses third-party fulfillment service. This is particular important for the owner who sells quite different kinds of products in one store or owns multiple stores. Besides the products the consumers buy on their own initiative, the store owner can also send them gift kits on holidays with the help of the kitting service third-party fulfillment company provides. This is an effective marketing strategy which will deepen the brand awareness and increase customer satisfaction. ChinaDivision is a full service third-party fulfillment provider, which not only provides quality fulfillment services as mentioned above, but also as controllable as your in-house fulfillment team. With multiple years of experiences in b2c business, ChinaDivision can provide much more customizable services than drop-shippers. Crowdfunding on websites such as Kickstarter can be an excellent way to raise the capital you need for your business or new product. It can be a great way to not only introduce your product to the world, but to also raise enough money to make your dreams a reality. Crowdfunding isn’t just limited to products, you can raise capital for film projects, books, community events etc. With crowdfunding, your backers will want to see results as well as the end product very quickly. This means that you will need to bring the product to the market and be able to deliver it to your customers in a short amount of time as compared to when one raises capital the traditional way with venture capitalists or angel investors. Since you have to deliver the product in a shorter time period, it makes it more important to work with a dependable crowdfunding fulfillment services for your campaign. When it comes to Kickstarter fulfillment and working with any fulfilment services for that matter, it is very important to do your research and only work with a reputable and quality fulfillment company. When you run an eCommerce business, chances are you already have a lot of things to worry about such as: Customer service, product development and sourcing. The last thing that you want to worry about is order fulfillment. Going with a fulfillment company that doesn’t suit your business needs will cause you more stress than it’s worth. If you do business in North America and Europe, ChinaDivision can help you to meet your online eCommerce fulfillment needs. How does it work? 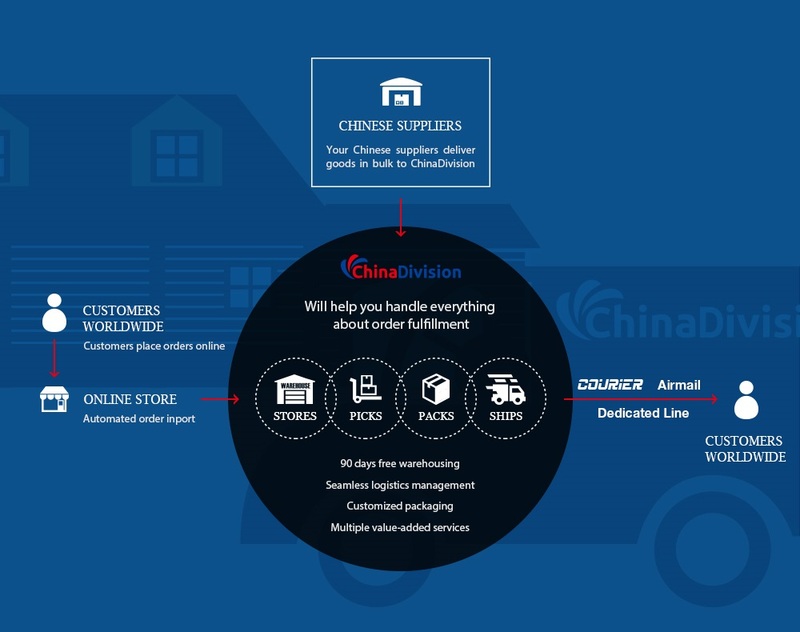 When your customers order products from your company/website, ChinaDivision will help you by picking, packing and delivering the products directly to your customers anywhere in the world. The products are sourced and stored in the company’s warehouse in China, making for a smooth transition when it comes to handling deliveries to your customers. ChinaDivision is a dependable fulfillment service for your eCommerce needs. 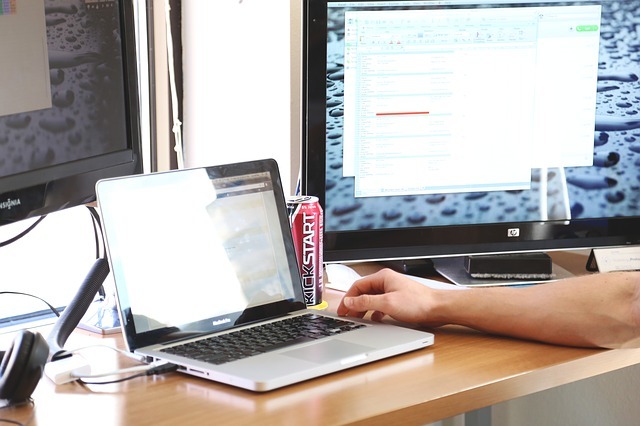 You will be able to save time and money as well as maintain control of your order process. With any Kickstarter fulfillment services, you want to make sure that logistics will work or else you may end up failing on keeping the promises you made to your customers. ChinaDivision has a built-in logistics infrastructure that will allow you to monitor your inventory in real time, organize order in order to reduce shipping costs and also validate mailing addresses to decrease the likelihood of returns and chargebacks. After customers order their product/products, they will want the product delivered in a timely manner. This is why you want to work with a crowdfunding fulfillment service that will help you meet your logistics and delivery needs in a reasonable time. ChinaDivision offers same day fulfillment. The printing and packaging is scheduled in such a way as to meet the local carriers’ everyday pick-up times so that every order for the day is packaged and ready for delivery. As a result, your customer’s product is shipped and delivered in a timely manner. As a business owner, you will want to maximize your profits as much as you can. This is why it is very important to make sure that your shipping costs are not eating away at your profits. Customers are less likely to order items with high shipping costs, so you could be losing out on sales as a result. ChinaDivision offers the cheapest international shipping for its customers and the option to customize your product packaging. These customization services can work to help you create a stronger brand identity for your product as well as further promote your business. When you run a Kickstarter/crowdfunding project for your product, make sure that you have a reliable order fulfillment service in place. When it comes to Kickstarter shipping, the last thing you want is to disappoint the people who helped to fund your project by leaving them confused, without a product and feeling as if they have been taken advantage of. When you publicly collect the funds raised through your crowdfunding project, your reputation could suffer badly if you fail to meet the goals and promises you set for your campaign.